The story is a tragic one, and it’s hard to imagine such sadness in a man who was already responsible for so many heart-warming children’s films and whose name would continue to be attached to wonderful family films for decades to come. So it’s a shame that this interview lead to an outbreak of click-bait headlines like ‘The Tragic Reason Why Disney Movies Rarely Have Mother Characters’ and ‘The Heartbreaking Reason Why Disney Princesses Don’t Have Mothers’. The same sites that often take my dumb Disney theories and ‘re-purpose’ them for their own page views regurgitated this story as light entertainment and treated it as just another ‘Disney theory’. Of course the death of Disney’s mother is well-documented, and while Hahn himself acknowledges he’s not a psychologist it’s easy to believe that Walt Disney felt responsible for the sequence of events. The frustration is that this story is being presented as an interesting theory when even the basis of it is so obviously flawed. For one thing, the Disney movies Glamour uses as examples (The Little Mermaid (1989), Beauty and the Beast (1991)) were made long after Walt Disney’s death in 1966 – not to mention the examples used in later articles like Aladdin (1992) and Frozen (2013). In fact, the only Disney movies made during Walt Disney’s lifetime where a mother dies or is notably absent are Snow White (1937), Bambi (1941) and Cinderella (1950), and as Snopes points out, the first two were either already released or well in to production by the time of Flora Disney’s death in 1938. 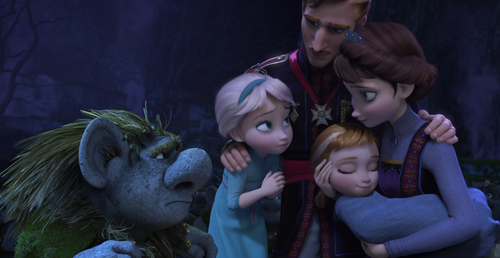 So why are mothers so absent in Disney movies? In many of these Disney movies, the absence or loss of a parent is as traditional and time-honoured as the fairy tales they’re based on. My original Disney theory concluded that all Disney movies take place in a world that is full of ‘sons that long for adventure, daughters who dream of freedom, parents who die tragically and evil relatives who seek to control them’. These tropes are often essential to the narrative, and while the personal experiences of the storyteller are of course going to inform the story that does not make the resulting story a symptom of the teller. 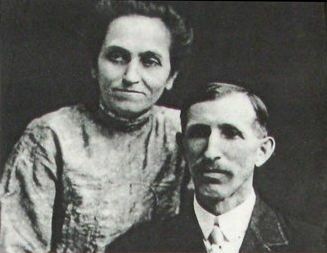 The reason the story about Walt Disney’s mother resonates is the same reason it resonates with audiences when a Disney protagonist loses a parent. The two don’t have to be connected to both be true. 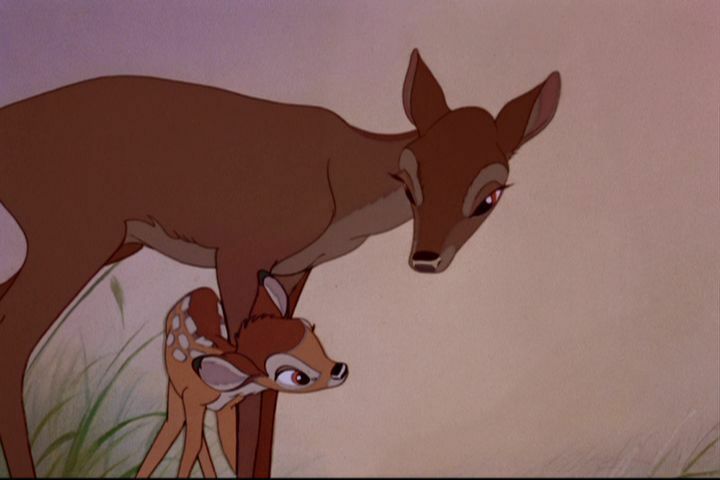 Hahn tells us a sad story, and it’s one that will make future viewings of Bambi even more profound, but Disney movies are more than the product of one man, the teams of talented people that worked on them give them a scope and depth that makes them so timeless. Walt Disney was just the visionary who started something magical that still lives on to this day. Flora Disney would be proud. This entry was posted in The Wider Disneyverse and tagged Aladdin, Beauty and the Beast, Disney, Frozen, The Little Mermaid, Theories. Bookmark the permalink. who is the third mother on the first line? I LOVE ALL of your theories, even though my mom thinks I’m a little bit nuts. Anyway, couldn’t that (Disney’s story) be the reason (or at least part of it) that there are no mothers NOW? In honor of Disney’s tragic loss? The last one in the second row is the mother of the hunchback of notre dam. She falls off a horse at the start of the movie and cracks her head on stone steps. She was a gypsy who had snuck into the city with two other gypsy guys. The priest, the antagonist of the movie, is chasing her, which is the reason she falls off the horse. 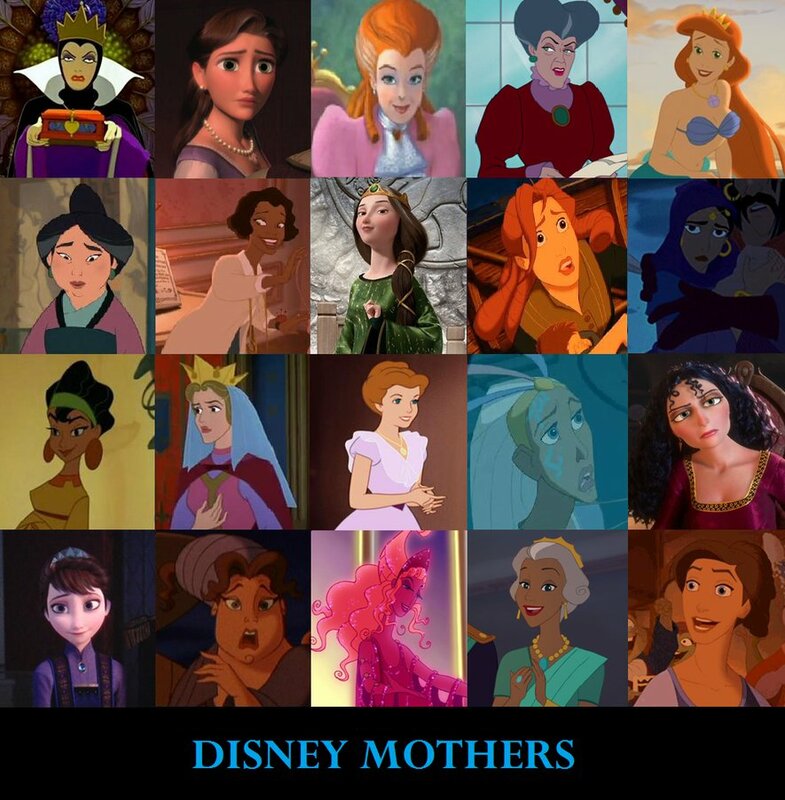 The final row of disney mothers if you click on it is- Anna and Elsa’s mother (Frozen), Hercules adopted mother (Hercules), Hera(Hercules, birth mother), Prince Naveen’s Mother (Princess and the Frog), Jim Hawkins Mother (treasure Planet). Anybody else notice the similarities between Mrs. Darling and Ariel’s mother?